Following in the positive footsteps of Star Wars and other franchises rebooting themselves with female leads, the new Star Trek series Star Trek Discovery looks to be launching with a woman at its helm. Speaking at the Television Critics Association (TCA) Press Tour, the show’s co-creator Bryan Fuller told the press that the aim of the new series is to build upon Star Trek‘s existing reputation for embracing diversity, and that the lead character of Star Trek Discovery (unfortunately abbreviated to STD) is “female, human, and not a captain”. Deadline further reports that the lead character of the CBS All Access show is unlikely to be white, saying “all women seen for the part so far — and there have been a lot of them as the casting process has kicked into high gear — have been African-American or Hispanic”. So, could Star Trek Discovery boldly go where no other Star Trek instalment has gone before, by casting a woman of colour as its lead? Star Trek Discovery, which begins production in two months’ time, will be streamed globally on Netflix the day after it is made available on CBS All Access in North America in January. On Friday July 29th at 6:00pm, none other than William Shatner takes us on a trip through the original series in this gloriously retro documentary movie from 1994. Mixing video clips and interviews with Star Trek: The Original Series actors Leonard Nimoy, DeForest Kelley, James Doohan, George Takei, Walter Koenig, and Nichelle Nichols, this is 1 hour and 20 minutes of old school gold for Star Trek fans. 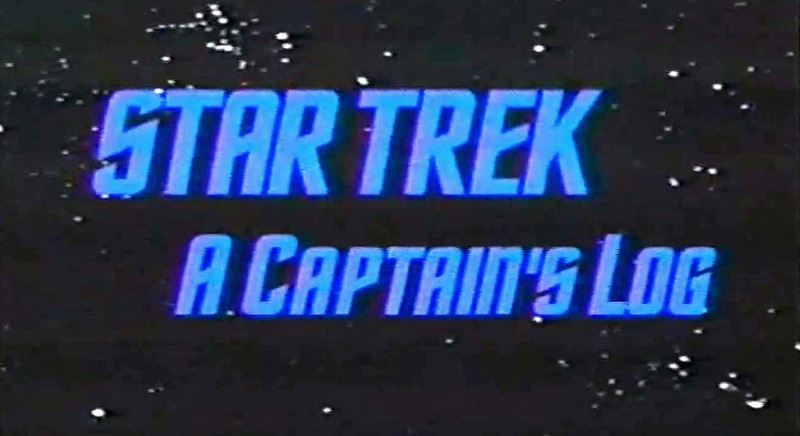 Showing on Sunday July 31st at 6:00pm, this 2007 documentary looks at what happened when Paramount Pictures celebrated Star Trek‘s 40th anniversary by holding an auction of many of the items that were used in the live-action Star Trek TV series. The items, stored in several warehouses, included rack after rack of uniforms, pieces of furniture, models of the various versions of the Enterprise, other starships and makeup prostheses for characters. We see how Michael Okuda and Denise Okuda, with assistance from the production staff of the TV series, chose the items to be auctioned, and dealt with the problems encountered in preparing many of the unusual items for shipment to the auction house, while also including scenes from the auction held in 2006 and interviews with many of the stars and production personnel of the TV series. CBS Action will also be running Star Trek: The Original Series on weekdays at 6pm, and Star Trek: Deep Space Nine on weekdays at 8pm. Star Trek Beyond is showing in cinemas around the UK now. 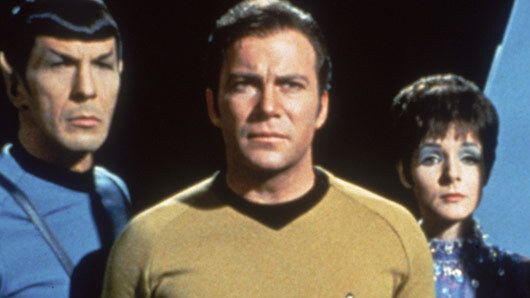 Netflix has bought the rights to stream the upcoming Star Trek TV revival exclusively in the UK. The new series, which will air on CBS and on-demand service CBS All Access in the US, has been commissioned for thirteen episodes and will begin filming in Toronto in September. 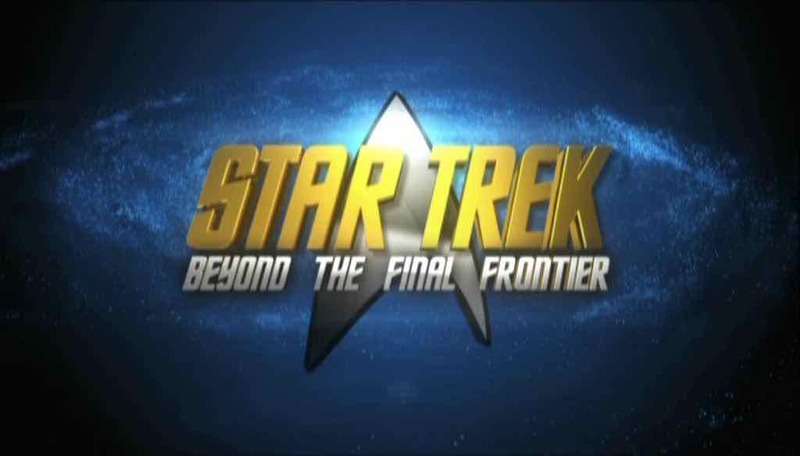 It is being helmed by Hannibal creator Bryan Fuller and reports indicate that it will be set in the original Trek universe at some point between The Original Series and The Next Generation. As well as receiving exclusive rights to the UK release, Netflix has also bought rights to air the show in 87 other countries. Each episode is expected to be available within 24 hours of the US broadcast. 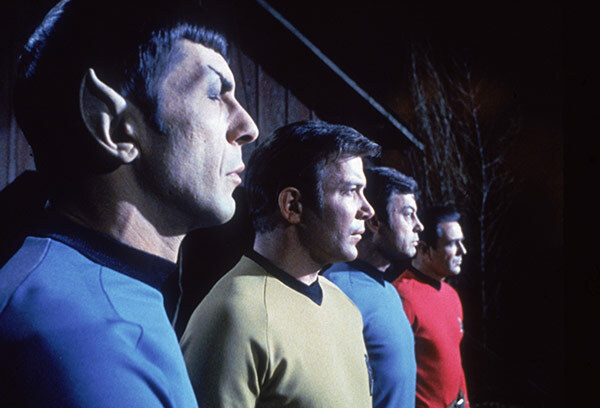 To get Trekkies ready for the new series, Netflix has made all previous episodes of the hit franchise – from The Original Series to Enterprise – available for streaming now on the service. Bryan Fuller’s Star Trek will be available on Netflix in January 2017. 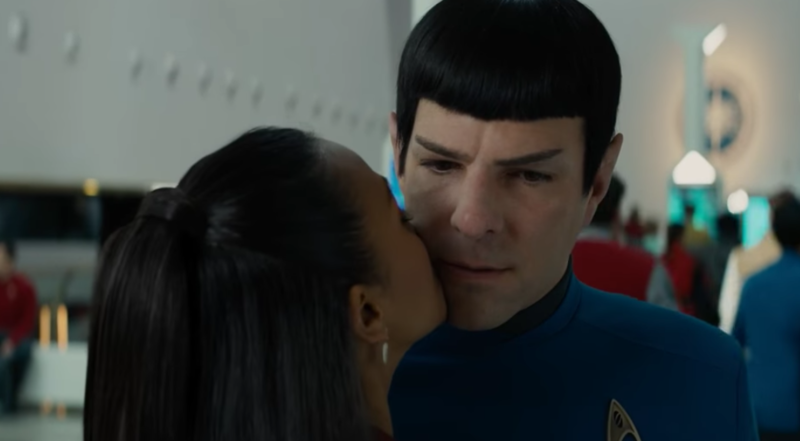 The much-anticipated new Star Trek film, Star Trek Beyond, released a new clip today featuring the franchise’s unlikely lovebirds, Uhura and Spock – played by Zoe Saldana and Zachary Quinto. Their relationship has not been the most conventional and it looks like there may be trouble ahead in this emotional clip. Luckily, Doctor McCoy is on hand to offer a supporting sarcastic quip to cheer up poor Spock. The upcoming film will see the Enterprise crew back together, stranded on an alien planet with an enemy who hates the Federation. Chris Pine, Simon Pegg and John Cho will be back on deck, with Idris Elba and Sofia Boutella joining the cast. This film marks one of the last appearances of Anton Yelchin (Pavel Chekov) after he tragically died this year. Star Trek Beyond will be released in the UK on 22nd July. Star Trek has proven its ability to live long and prosper, as the cult sci-fi franchise will return for a new TV series in 2017. CBS Television Studios has confirmed that the new instalment of the show – which will be the first new Star Trek series since the cancellation of Star Trek: Enterprise in 2005 – is currently being developed, and will blast off in January 2017 on CBS before the rest of the series airs exclusively online at CBS All Access. This means that it will also be the first TV series designed specifically for CBS’ online platform. CBS All Access already offers every episode of all previous Star Trek television series. Star Trek movies producer and co-writer Alex Kurtzman is reportedly working on the project, however further details are currently scarce. 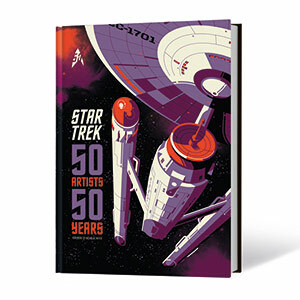 The announcement of the new series comes just in time for Star Trek‘s 50th anniversary. The original Star Trek spawned a dozen feature films and five successful television series, so we’re excited to see what comes out from it next. “There is no better time to give Star Trek fans a new series than on the heels of the original show’s 50th anniversary celebration,” said David Stapf, President, CBS Television Studios. “Everyone here has great respect for this storied franchise, and we’re excited to launch its next television chapter in the creative mind and skilled hands of Alex Kurtzman, someone who knows this world and its audience intimately”. “This new series will premiere to the national CBS audience, then boldly go where no first-run Star Trek series has gone before – directly to its millions of fans through CBS All Access,” said Marc DeBevoise, Executive Vice President/General Manager at CBS Digital Media. “We’ve experienced terrific growth for CBS All Access, expanding the service across affiliates and devices in a very short time. We now have an incredible opportunity to accelerate this growth with the iconic Star Trek, and its devoted and passionate fan base, as our first original series”. Trekkies will next be treated by the upcoming feature film Star Trek Beyond, which stars Zachary Quinto, Chris Pine, Zoe Saldana and Idris Elba, and is slated for a summer 2016 release. However, the new TV series is said not to be connected to the current film franchise.